David joined Adviser Investments in April 2014. As an account executive, he is responsible for all account maintenance, keeping up with any changes in your financial situation or planning needs and reviewing your portfolio on a routine basis. 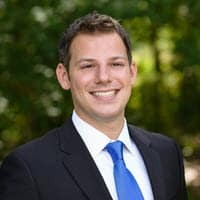 Prior to joining Adviser Investments, David worked as a registered representative within the John Hancock Financial Network, as well as an investment consultant for FactSet Research Systems, and most recently an associate for an LPL Financial adviser in Boston. He graduated from Babson College in 2010 with a B.S. in business management, concentrating in finance. David was awarded his CERTIFIED FINANCIAL PLANNER™ designation in 2016. He also makes regular television appearances on NECN in Boston. David currently lives in the Charlestown neighborhood of Boston with his wife, Abigail, and their Dalmatian, Santino.